Yourhub NBN Fiber Plans - Business. What makes Yourhub NBN better? 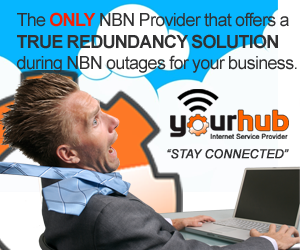 Yourhub NBN customers can enjoy a trouble free transition from standard ADSL to NBN. Our Business NBN plans start from as little as $59.95 per month. If you want to know more about NBN please contact us so we can check if it's available in your area or simply assist you with your enquiries. Choose your National Broadband Network (NBN) package. 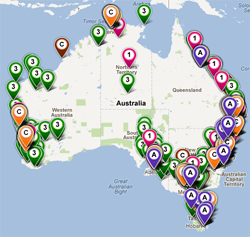 NBN Fiber Plans - Business. For Other Business Services: Click here. What do I get with Yourhub NBN? When joining Yourhub NBN Business customers can enjoy the following benefits. Why bundle NBN with our Fully Managed PBX phone service? When choosing be sure to bundle your business phone with your chosen super fast NBN internet package. Doing so means that you can then terminate your aging copper telephone line and stop paying line rental. You can keep your existing phone number or we can allocate you a new one, the choice is yours! For more information about our Managed PBX service for business click here for more information about Managed PBX. Our standard business lines are available should you not require all the bells and whistles of our PBX services. Contact us for more information. Yourhub subscribers can connect to any Yourhub WiFi Hotspot! Yourhub business customers can enjoy the benefit of accessing the internet away from the office. Log into any Yourhub hotspot using your username and password to access the internet and your emails. This offer is exclusive to Yourhub subscribers. *May be included in certain packages. Where not included users can access the Yourhub Hotspots via the online payment gateway. For more information on Yourhub Hotspots click here. Excess usage is shaped as outlined under shaping. NBN or ADSL or Phone services you can save on your monthly charges. avoid shaping in the following months. are not accumulative and will be lost at the end of each month. of the contract period. See service charges below for more information. upon request (charges may apply). for these packages are at the selected package rates. For additional information See Business Phone services information here. FREE on 24 month contracts. and want to transfer the service to Yourhub. You can elect to change the speed of your plan to a higher speed at any time. A fee of $40.00 applies for each speed change. A fee of $40.00 applies for each plan change. This is the fee per hour charged to the customer for an incorrect call out and is based on the time on site (Min$200.00). remaining number of months i.e. $29.98 (50% 0f $59.95) x 6 months = $179.85.